A little obsession of mine as of late are travel bags. 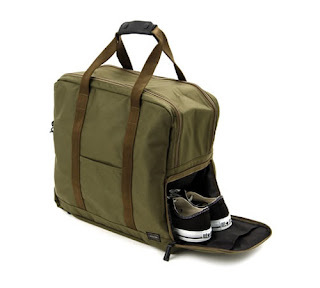 It might be that utilitarian side of me coming out, but Ive found that in traveling, the standard rolling case is just too much, and it screams tourist. Also, with recent changes in the airline industry, checking a bag is just too much money to fork over, considering it use to be free. 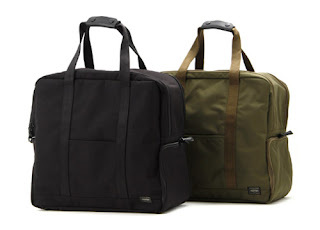 Compromise seems to be the key ingredient in traveling these days, however with some of the latest ergonomically designed bags, one mustn't need to give up much. 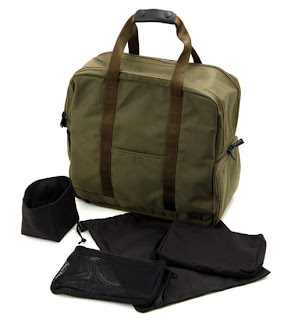 While, standard luggage we all know so well (I know everyone has one) is overly bulky and designed poorly. The Porter Monocle bag (baby Boston bag) is anything but that. 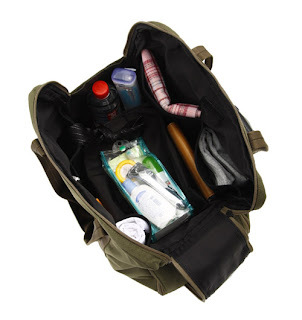 Its traditional travel bag/tote design built no larger than an L.L. Bean Boat medium tote is somewhat deceiving in size. But rest assure, this bag may appear small, but can fit a lot. 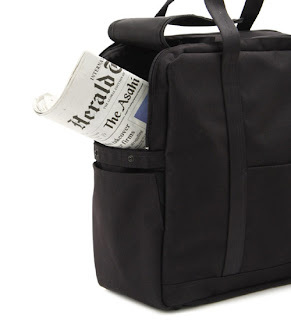 From the shoe compartment to the newspaper holder, this bag has it all. It is simply an ingenious design that is both ergonomically correct and practical. A must have for a traveler.